HOW MUCH IS MY CAR WORTH? GET AN ONLINE CAR VALUATION — NO MATTER WHERE YOU ARE IN NEW ZEALAND. A free car valuation from used car guys give you the information you need when selling a vehicle. Our famous cash for cars service have been used by our car buyers across the New Zealand for over 10 years and we have a fantastic reputation for objective and accurate used car prices. People ask us “What’s my car worth?” and we give them an estimate Online Car Valuation New Zealand they can rely on. Our used car valuation data is kept constantly updated so you can be confident that the car price we give you is fair market price. With more than 10 years of experience in car valuation and car prices, we offers a service that is used by leading companies across the New Zealand such us Turners. 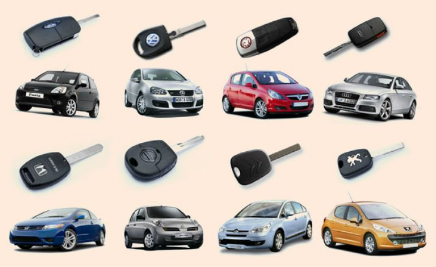 Heaps of people have used our services to find out what their car is worth, and what it will be worth in the future. Find out how much your vehicle is worth with our quick and Online Car Valuation New Zealand. If you are looking to find out the value of your car in its current condition, you can quickly get a price from us by entering you car’s details in the box right and then adding some basic details such as mileage and number of previous owners on the following page. If you feel there are more details relating to the car’s condition that you should enter in order to get a more accurate quote on the value of your car, you can opt to enter additional details during your journey. From there you can book an appointment and sell your car at one of our used car guys branches (1. Auckland car buyers, 2. Hamilton car buyers, 3. Wellington car buyers, 4. Christchurch car buyers). Your vehicle is unique, and so is your valuation. We start by using your car registration to tell us all about your car. The exact make and model, how old is it, what engine size it has, if it is a petrol or a diesel or an electric, you get the idea. All of these factors have an impact on how much money your car is worth. We combine that with some information that you give us about your car such as the mileage, the service history and the color. Yes, color can make a difference, along with all the little things that some car valuation engines just won’t consider such as whether you have leather seats or a panoramic sunroof. We really do buy any car from BMW to Mitsubishi, Ford to Honda and everything in-between. Using all of this information we look at the prices that vehicles just like yours are selling for and give you a price that we’re willing to pay. Approx value please of a 2009 ford fpv f6 98000 km in great condition. I have a 2001 VW Polo travelled 170000kms, auto, petrol, 5 door. Still runs well but getting tired and rego just ran out.